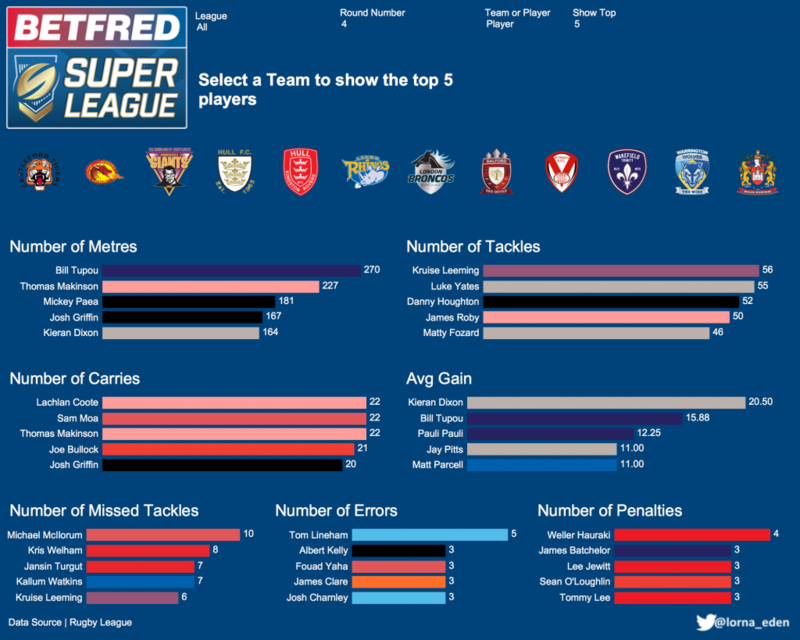 Wakefield star Bill Tupou boasts the most impressive stats from round four of Super League, while London forward Luke Yates also impressed. There are a few changes with the league table. Castleford remain top after winning against Hull KR. St Helens move to second after a win against Salford. 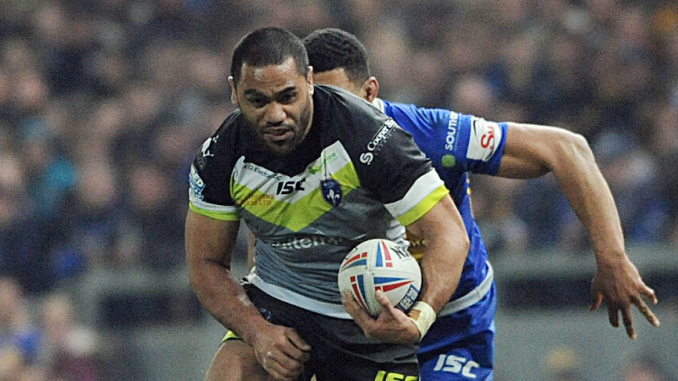 Warrington drop to third after getting beat by a drop goal at Catalan. Salford remain fourth. Hull FC jump up to fifth from seventh, followed by Wakefield jumping from ninth to sixth. 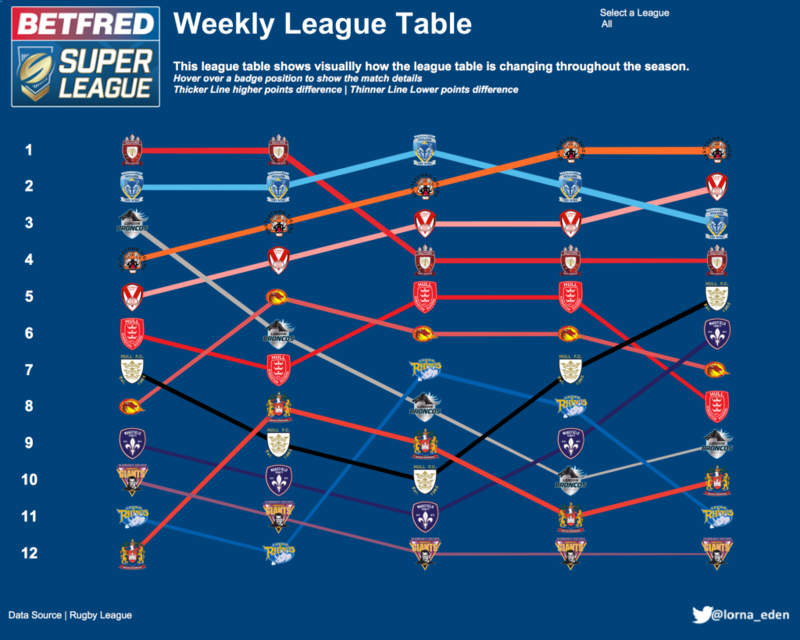 Catalans drop from sixth to seventh, and Hull KR from from fifth to eighth. London move up to ninth. Wigan have been given their two points back meaning they move to tenth, pushing Leeds down to 11th from eighth, which leaves Huddersfield still at the bottom without a win. Bill Tupou (Wakefield) ran a massive 270 metres, Thomas Makinson (St. Helens) ran 227 metres, almost 50 metres behind Bill. Michael Mcllorum (Catalan) missed 10 tackles! Click on the image below to have a look at your own spilt of the data! 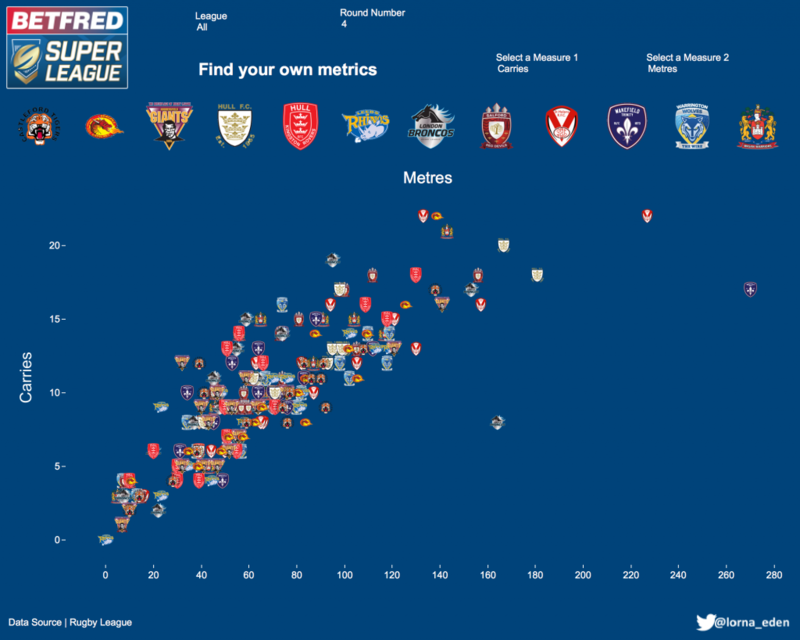 Hull KR gave away the most penalties, closely followed by Wigan. 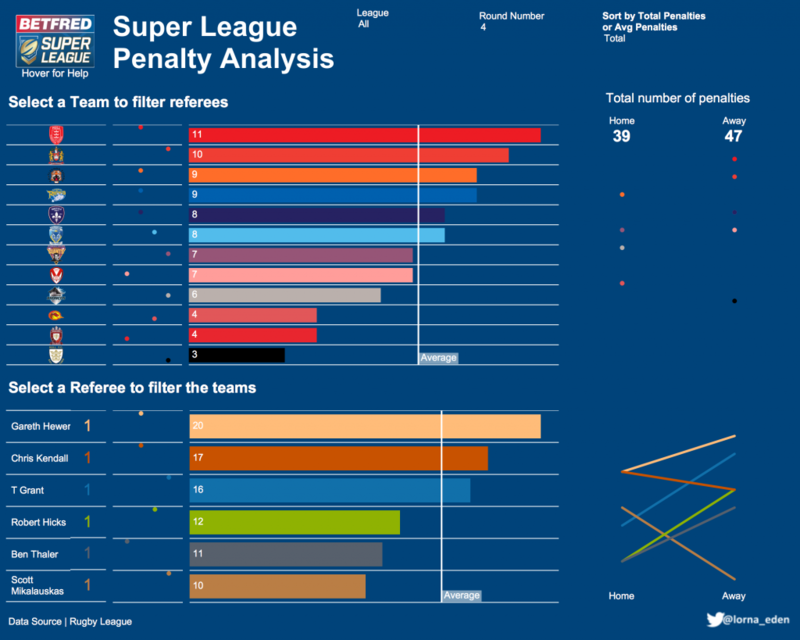 Hull FC, Salford and Catalan didn’t give away many penalties (Maximum of four per team). Gareth Hewer gave away the most penalties with 20, whereas Scott Mikalauskas only gave away 10! Away teams gave away 10 more penalties compared to home teams.